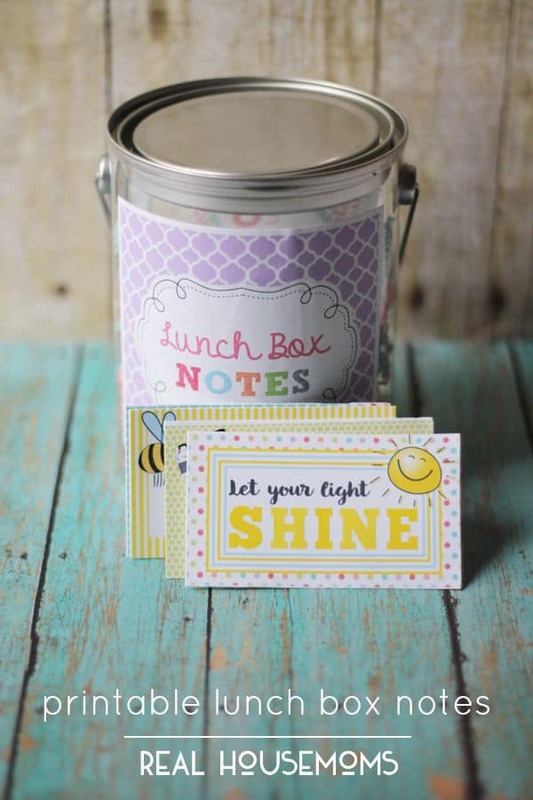 Let your children know that you are thinking of them while they are at school by adding Printable Lunch Box Notes to their bag lunch! Nine times out of ten my kids bring bag lunches to school. 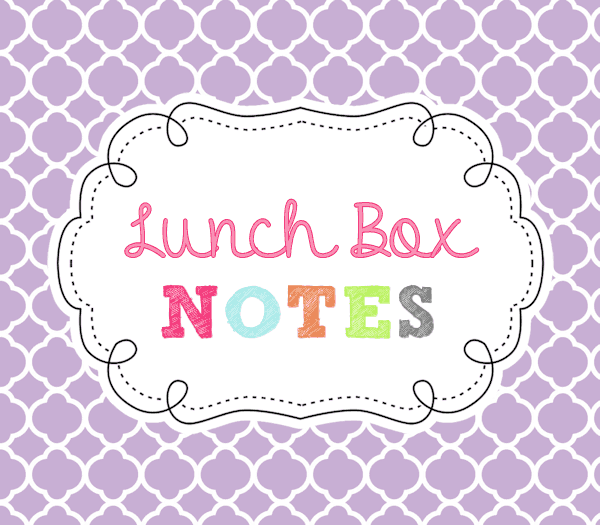 When they were smaller I use to love putting a handwritten note in their bag for them to find during lunch time. I think they would still get a kick out of it but now that they are getting older I want to inspire them to be the best that can be and to appreciate every moment that they live. 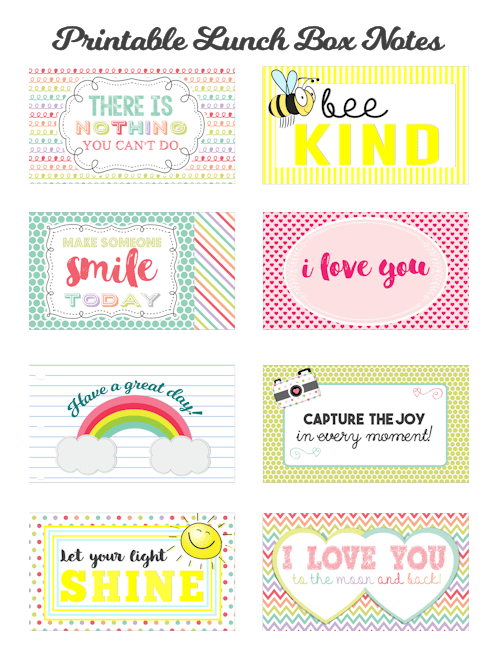 I created these printable lunch box notes full of inspiring phrases and sentiments that I can just pop in their lunch when they go back to school. These little cards are the size of business cards. You can print them at home onto card stock. If you have access to a laminating machine you can laminate them also so that you can re-use them. If you want to do what I did and store them in a cute paint can, I created a label for that too. 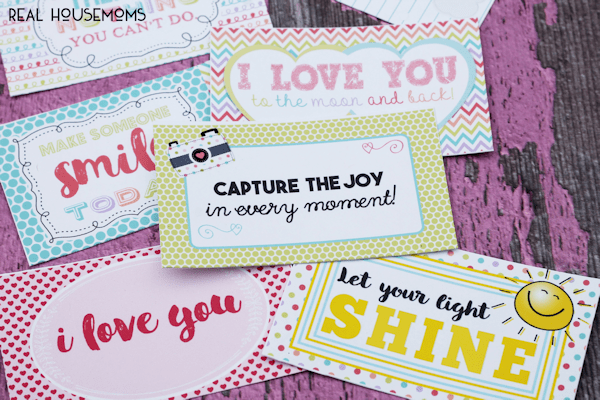 Get more great printables like this on on our Real Housemoms DIY & More pin board!